Can you believe the holidays and the New Year are just around the corner? It feels like just yesterday that I was making my New Years resolutions, including being a better person and of course some healthy lifestyle changes. As we all know, resolutions and lifestyle changes can be difficult, which is why I’m starting my resolutions early this year. Who said they have to start in January?! One of my main goals is to shed a few pounds. I have been way too lax with myself this year. No Jessica, a piece of banana bread does not count as your daily fruit intake! That’s why I’m trying to focus on the way I eat and what vitamins, minerals and nutrients I’m providing my body with. 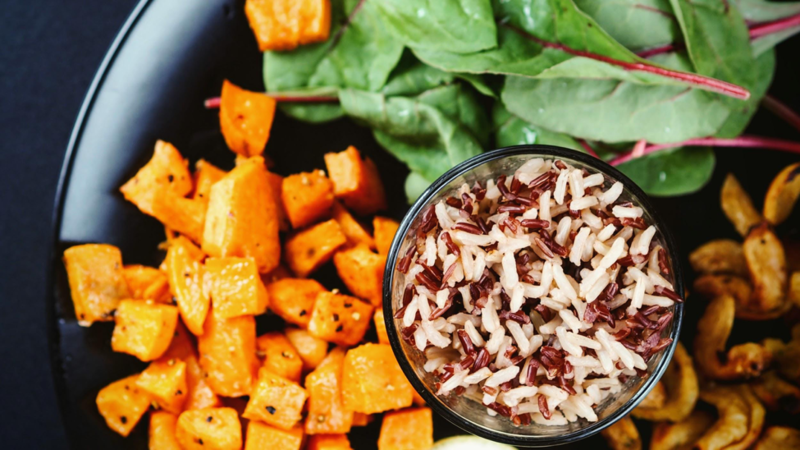 Here are some simple lifestyle changes that I’m using to increase my energy levels and ensure my body gets the nutrients I need to get a head start on a healthy new year. One of the ways I’m most excited about is with the 24-Day Jumpstart program with AdvoCare – read on to find out more and join me! Focus on the size of the portions you eat, especially when it comes to carbohydrates and meat. During the holiday season it’s normal to want to indulge more than usual, but just keep in mind your portion sizes shouldn’t change from season to season. Feel bad for ditching going out with friends because you’re too tired? Well, don’t! Studies suggest that if you’re running ragged and didn’t get a good night’s sleep, your immunity is more opportune to risk than if you were well rested. Meaning, it’s best to stay in if you don’t want to catch that nasty bug going around. Instead of pastas and heavier meals, consider making lighter options with lots of vegetables and energy-driven foods. 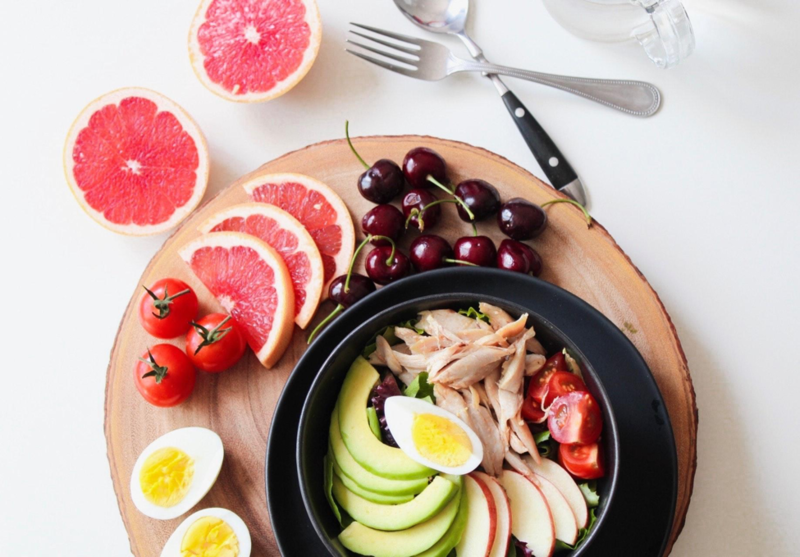 This won’t only benefit your health, it will increase your energy levels by a significant amount because the food you’re eating will be much richer in nutrients. Craving creamy mashed potatoes? Try sweet potato mashed instead or switch out that family macaroni and cheese recipe for a cauliflower and cheese casserole. These are easy ways for your meals to be more nutrient dense. Wear form-fitting clothes whenever you get a chance! This may seem like a hassle but I promise it will help you tell when and if you are gaining weight so that you can be in control of it right away instead of it sneaking up on you next bikini season. It actually helps you to notice possible weight gain, versus wearing comfy track pants all day which yes, I know are amazing, but don’t tend to benefit our health. Let’s get comfortable being in control of our bodies! When spending time with your family and friends, consider activities that aren’t focused around food or drinks. This habit isn’t only expensive, it can cause you to overeat and drink for long periods of time. Try doing something active like a workout class with your girlfriends instead of going to a wine bar, you’ll feel energized and refreshed. To give you the head start your body deserves, with all the vitamins, minerals and nutrients you need this holiday season, try AdvoCare’s 24-Day Jumpstart Kit. 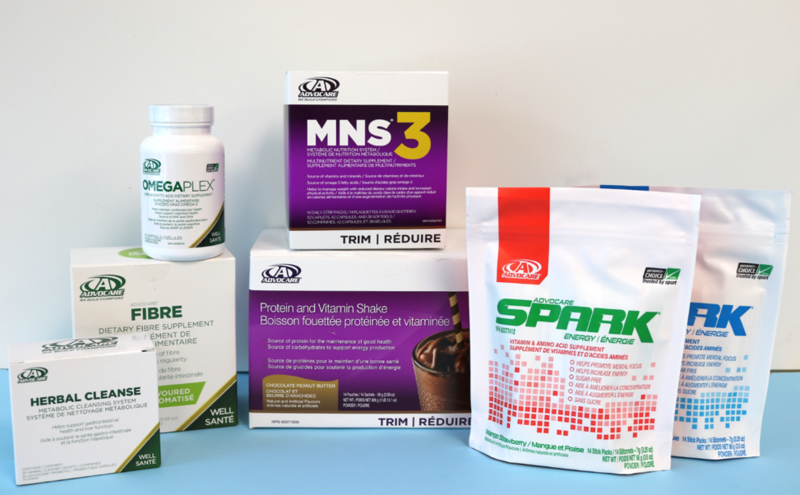 AdvoCare is an established and trusted nutrition and wellness company, offering nutritious products backed by science and compliant with Health Canada’s Natural Health Product (NHP) standards. The AdvoCare team is committed to helping its consumers and entrepreneurs live the lives they want through physical and financial wellness! 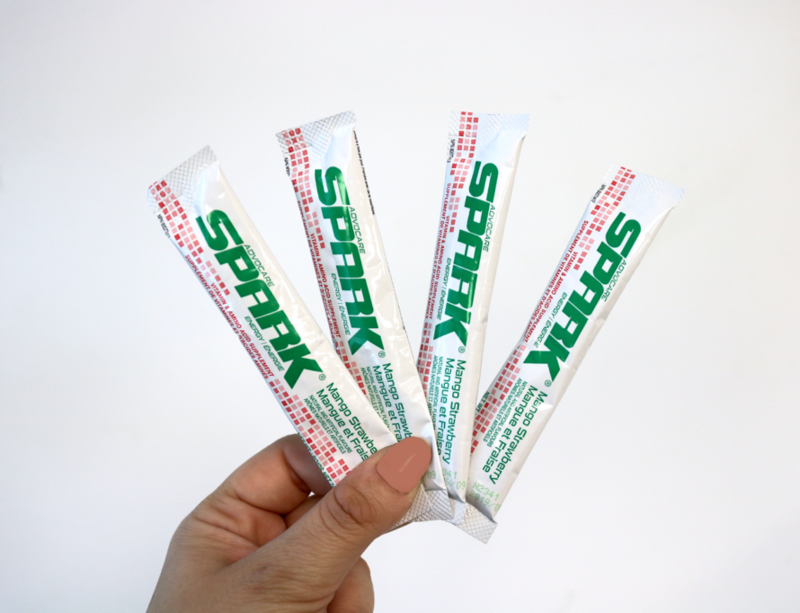 Spark is a unique blend of minerals and vitamins combined together to provide a healthy, balanced source of energy. It contains caffeine to give you a quick boost, B vitamins to support your body’s natural energy and amino acids involved in protein synthesis. 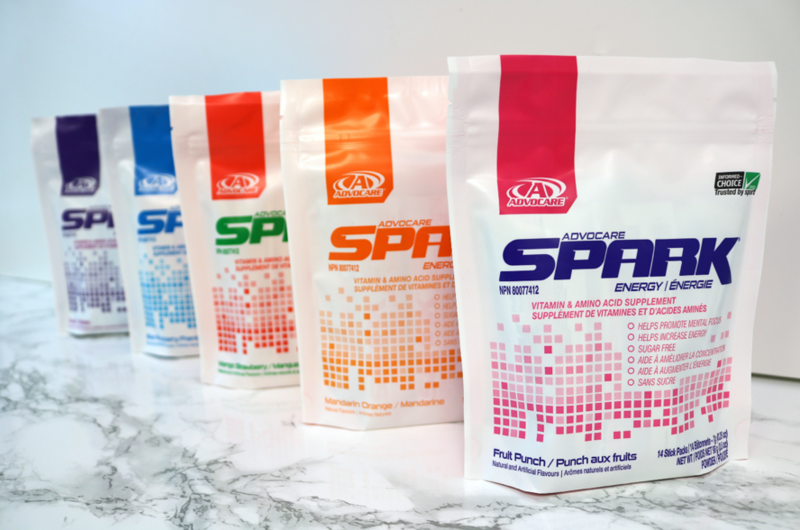 The AdvoCare Herbal Cleanse System can help to rid your body of waste and absorb nutrients with its blend of herbal ingredients. The Herbal Cleanse System helps to improve digestion with the use of Probiotic and Fibre. A portable and great tasting shake mix that delivers a blend of protein, carbohydrates and fibre to keep you ready to tackle the day. These protein and vitamin shakes help to assist your body in the making of lean muscle when combined with a healthy balanced diet, and regular weight training! MNS is a comprehensive multi-nutrient dietary supplement system that provides a wide range of vitamin, minerals, and antioxidants to support core nutrition. When combined with good food decisions and increased exercise, MNS can help fill nutritional gaps. OmegaPlex is the convenient way to get the Omega-3 fatty acids that may be missing in your diet this season. Omega-3 fatty acids help to support your cardiovascular and cognitive health. OmegaPlex also includes an important antioxidant, vitamin E.
Find out more and give AdvoCare a try this season for holiday weight maintenance or as part of your New Year’s resolution at www.advocare.com. You should always speak to a qualified health care professional before making medical decisions or lifestyle changes, such as incorporating dietary supplements, adding exercise routines or changing your diet. Although this post has been generously sponsored by AdvoCare, the opinions and language are my own, and in no way do they reflect AdvoCare.